← Facebook meets Jupiter/Uranus at the 19 September cafe! This entry was posted in Jupiter/Uranus conjunction 2010/11, Phase 2: 19th September 2010 (5 articles) and tagged "Jupiter meets Uranus", 14-year Jupiter/Uranus cycle, 2010/11 Jupiter/Uranus conjunction, American Federation of Astrologers, Jupiter/Uranus conjunction 2010/11, Jupiter/Uranus conjunctions, Jupiter/Uranus conjunctions in Aries and Pisces of 2010/11, Mazlan Othman, mundane astrology, NASA Kepler probe, Office for Outer Space Affairs (Unoosa), Purple People from Planet Zog, Stephen Hawking, Uranus in Aries. Bookmark the permalink. This really was a hilariously funny story.Here in Finland many people were happy to hear that EU would not be in charge for organizing the matter :). Unfortunately it seems that, at the end, it was a case of somebody’s imagination running wild. The lady in question- Mazlan Othman – was not aware of her appointment as the official welcome comittee when contacted about the matter http://www.guardian.co.uk/news/blog/2010/sep/27/un-alien-ambassador-mazlan-othman. Well – we got a good laugh out of it! thanks for the update here! Do you have “April Fool’s Day” in Finland? We have it in the UK on 1st April every year, when all kinds of extravegant jokes can be played both in the public and private realm. My first reaction was that it was a joke – until it was widely reported. Well – now we know! 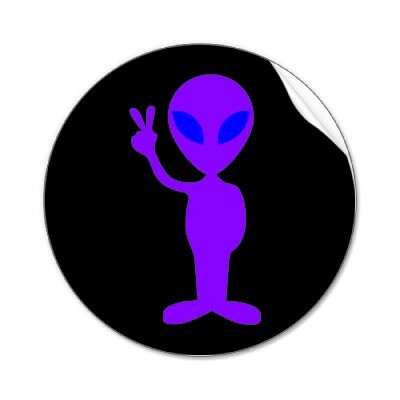 I have quite a feeling that alien disclosure will occur close to 2032 (84 years after 1948 Roswell), this is also a time when Uranus transits Gemini, Pluto transits Aquarius, and Neptune in Aries. Perfect energy for those “science fiction” events. Maybe Uranus in Aries will feature the first stages of an alien disclosure. And first alien contact this century, before the great technological advance predicted to occur by 2090 when both Pluto and Uranus transit Aries. This is interesting! Maybe I’ll still be around to report on it?! I think you’d be the perfect ambassador – just so long as they’ve got a sense of humour as well – can you imagine! – and, does this also make of you their official augery? love it that your wish may well be coming true! Where would we be without a laugh? But seriously, it looks increasingly unlikely that we are alone in this vast cosmos…. Had an idea that this time Jupiter conjunct Uranus might portend change to Jupiter. A big ring of clouds has disappeared now. I wonder if it appears brighter? A few prophesies around suggest Jupiter may change in someway and be significant, comet strike, change in orbit in th eyears ahead. Well this recent conjunct exactly opposite my Sun had a big impact. Didn’t sleep properly for weeks leading up to it, felt a wreck. Even took myself to the docs but he just said “you got kids”. The kids themselves picked up on it and played up awful but now they have settled down again. Though the boy with Neptune rising is still a bit touchy, he has Aspergers so didn’t appreciate my change in routine. Totally changed my website, new url. Absolutely stressful doing that, so much work and I thought I had lost all our posts at one stage. The exact moment of the opposition of Uranus to my Sun, I was skyping with Marina to help me through it. I was so rebellious and she handled me well. I wanted to post a scathing critique of my detractors, but Marina deflected the impulsive rage(Uranus can be angry I think). So I lashed out with moderation on someone elses forum. great to get this blend of collective and individual feedback. The post of Chief Alien Welcomer may be needed sooner than we think! Who should we invite to apply? Glad to hear you are still standing – ah, the tempering effect of the feminine principle….don’t take me too seriously by the way. I may be female, but Jupiter/Uranus sq my Mars/Uranus has led to some hectic rage moments in my life too!